*Must live within a 25 mile radius of Gala venue. Guest can choose an alternative drop off point within radius. Proceeds support various community programs, including Project EAT which improves food security in the community by providing Education, Access and Tools, to those in need; as well as projects in connection with other social service organizations including Cass Community Services, The Empowerment Plan, Forgotten Harvest and Humble Design. Advance ticket purchase required for all events. Due to contractual obligations with all event vendors, refunds on ticket purchases will not be offered for events cancelled due to severe inclement weather and/or Acts of God. House closes for tours at 9pm. Regrettably, the house and grounds are not handicap accessible. 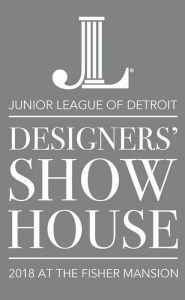 The Junior League of Detroit is a 501(c)(3) non-profit corporation.